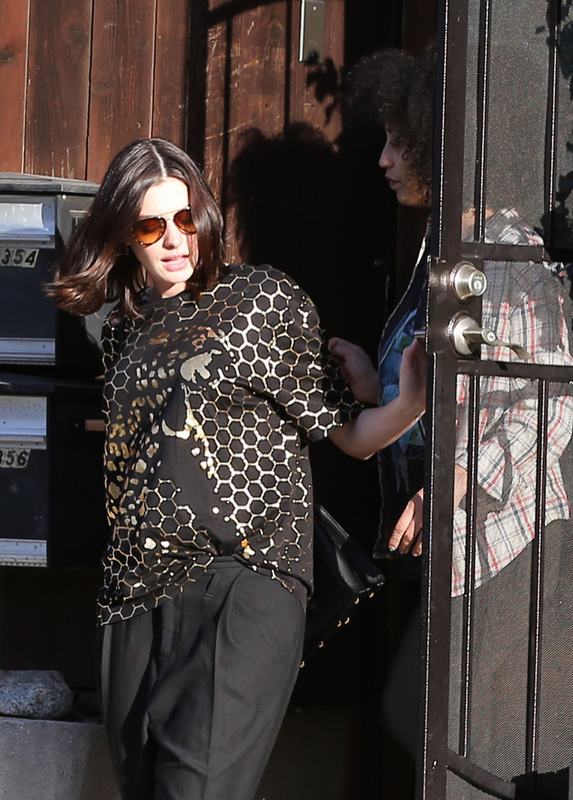 Anne Hathaway was spotted leaving a friend’s house in Echo Park, CA on Wednesday (Dec. 02). The Intern actress covered her growing baby bump in a black and gold printed shirt with black pants. She kept a low profile while heading to her car. It was announced earlier in the week that Hathaway and her husband Adam Shulman are expecting their first child. “Anne is in her second trimester and feeling great,” a source told E! News, while the news outlet shared a photo of the actress out sporting a baby bump earlier in the week. The couple married in 2012, after four years of dating.